National Numbers has at any one time about 54 million plates on our database. We try to spot Rude number plates and tag them accordingly. This operation is usually done by a human not a computer. Over 38 years of trading, National Numbers has sold some very unusual Rude Number Plates. 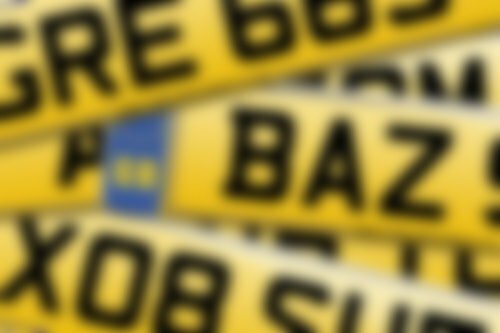 It is difficult to believe that DVLA have allowed some of these Rude number plates to be released! Two excellent examples are A11 NOB and X351 ARO. You will all instantly see the comical connection of the first rude number plate mentioned; the second one is a lot more difficult. If you use a mirror you will see the significance of this plate. This last rude number plate was bought from a DVLA auction. As the bidding started, Eric Craggs (the Chairman of National Numbers at the time) did not understand as to why there seemed to be so much interest in the plate. On asking another number plate dealer he was told the significance and instantly started bidding - against the express wishes of his wife and fellow Director! He was successful in acquiring the number plate. Because we knew it was an oversight, we allowed the mark to return to DVLA to save their embarrassment!